We’re almost a month into 2019, which means we’re slowly starting to distance ourselves from the year before so we can move onto this one. Moviegoers know that January is often the best time to catch up. At this point, new options include A Dog’s Way Home, Escape Room, and Replicas. Simply put, there’s not a whole lot to choose from. Instead of subjecting oneself to typical January rubbish, now is the perfect opportunity to catch up on movies worthy of attention. Listed below are twenty-five movies that, at the very least, feature marvelous performances from marvelous actors and actresses. In general, the movies listed below are well-worth watching for a variety of reasons. Readers would benefit from watching every single movie on the list even if they are riddled with flaws because the performances are a sight to behold. This is a varied list that showcases the best 2018 had to offer. Keep in mind that it would be impossible for a critic to have seen every single movie from that particular year. If a standout performance is missing, it could be because the author missed that movie. At the same time, be aware that the author of this list made an active effort to watch the most critically acclaimed movies available to a wide audience. This means that the list is thorough but imperfect. With that in mind, there should be a little something for everybody. Seriously, talk about a movie that needed more attention. Blindspotting quietly snuck into theaters where it appropriately earned some seriously passionate fans. Unfortunately, those seriously passionate fans haven’t done quite enough to push this movie into the spotlight. At this point, there’s only so much people can do to spread the word about one of 2018’s most valuable players, so maybe its inclusion on this list will help it gain some traction. Now, those who have seen the movie should be able to attest that there’s plenty to praise. However, we will only be focusing on the lead performance for the purpose of this list. Diggs isn’t exactly a screen icon at this point in his life. On the contrary, his career has largely been away from the camera and up on the stage. Folks have come to appreciate his performances in things like Hamilton, A Behanding in Spokane, Troilus and Cressida, but this is his first lead performance in an actual motion picture. Thankfully, he brings the same kind of charisma to the big screen. Daveed Diggs gives viewers a performances that’s poignant, funny, and plenty nuanced. The subject matter demands a performer who can make viewers laugh one minute and gasp the next. 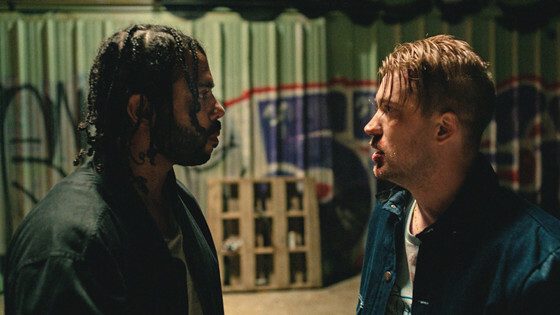 Like other racially charged movies this year, Blindspotting intends to make a statement while simultaneously making viewers laugh through the pain. The script does a lot to make that possible, but it’s Diggs who finds a way to perfect this. To be fair, either one of the supporting performances in The Favourite could be included on this list. However, at risk of overloading the list with one movie, it has been decided that only one supporting performance should be included. Stone barely edges out Weisz, and she only does so because Weisz doesn’t get quite as much screen time. Stone is given more time to flourish in her role, which results in a performance that has a little more bite. More screen time doesn’t always equal better, but when the performances are this close in quality, a deciding factor needs to exist. While both Weisz and Stone do an excellent job in the movie, their roles are substantially different. While they’re both catty and power hungry, Stone’s take on her character is flashier and louder. Now, this could just be the way her character is written, but it’s still worth contrasting the two roles. Weisz takes a more subtle approach, and it really works, but Stone is outright nasty in her role. When it comes down to it, this means that Emma Stone is simply more fun to watch. She’s cruel in her treatment of others, but she acts as though she can’t be blamed. This kind of juxtaposition between menacing and innocent shows that Stone is able to switch up her personality at the drop of a hat. None of this would work without the rest of the stellar cast. She’s so successful because she works so well with Colman, Weisz, Alwyn, and the rest of the gang. This isn’t a negative though. On the contrary, it proves that she can play along with an enormously talented ensemble. Considering the amount of skill in front of the camera, it’s great (but not expected) seeing Emma Stone hold her own. 23. Richard E. Grant – Can You Ever Forgive Me? Melissa McCarthy’s grumpy performance is offset by Richard E. Grant’s more lighthearted work in Can You Ever Forgive Me? In a movie that blurs the lines between comedy and drama, it’s important to have yin and yang. 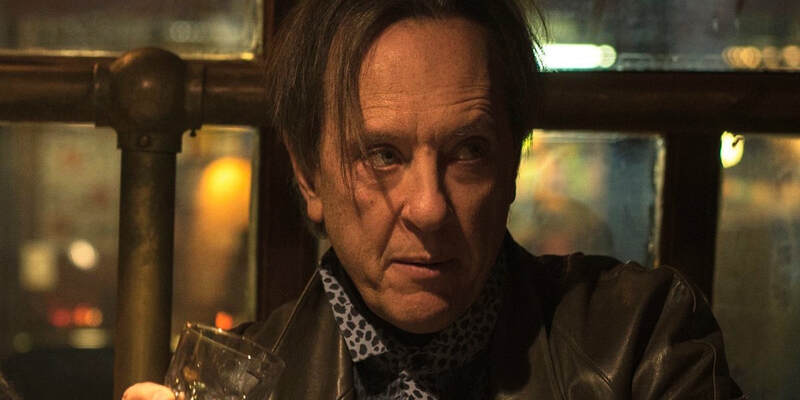 While McCarthy is usually the one cracking jokes, Richard E. Grant is given that task in this movie. A performance like this may sound easy, but Grant goes above and beyond the call of duty to deliver the greatest performance of his career. Up until this point, Grant had never been a serious awards season contender. His supporting roles have always been pleasant, but they’ve never been substantial enough to make an impact. Times have changed though, and we finally have a movie where the charming English actor can strut his stuff, and strut his stuff he does. Though this is obviously a comedic role, it’s a comedic role where he’s able to show a surprising amount of range. The coke-snorting, binge-drinking, flamboyantly gay criminal accomplice is certainly funny, but he’s most captivating when we get glimpses into his complex psychological wellbeing. This is a character with layers upon layers. As more character traits are revealed, viewers are liable to appreciate more and more. Widows is an ensemble movie through and through, and while it’s easy to praise everyone involved, there’s actually a performer here who manages to one-up Viola Davis, Liam Neeson, and Colin Farrell. You may not know her name yet, but be prepared to hear more about Elizabeth Debicki in the near future. She’s been around in other movies, but this is the role that actually cements her status as a seriously talented individual. Widows features one of the best casts of 2018, but Debicki’s raw talent enables her to be the shining star. For those who aren’t aware, the movie revolves around a group of widows trying to finish a job started by each of their husbands. Viola Davis does what Viola Davis does best. She plays the assertive leader with the same charisma we have come to expect again and again. Meanwhile, Michelle Rodriguez and Cynthia Erivo tag along for the ride and help improve an already stellar ensemble. Then there’s Debicki, who plays the widow of the abusive Florek, played by Jon Bernthal. Debicki is the heart and soul of this movie. She goes from a broken, lonely widow to a woman who learns to fend for herself. Widows attempts to make statements statements about women discovering the importance independence. This theme is perhaps best shown through Debicki, whose transformation from beginning to end is a step above laudable. The first few Elizabeth Debicki roles were just a warm up. This is the beginning of something really promising. Don’t go into Searching expecting a gimmick. Go into it expecting one of the most captivating thrillers of the decade. After all, that’s what it is. It may be hard to go in with that mindset considering the fact that seems like Unfriended without the horror but that’s selling it short. For one, it handles the internet-based found footage setup in a way that’s actually more innovative than Unfriended. More importantly, it provides enough twists and turns to keep people invested throughout the entire runtime. This kind of unpredictable narrative needs a lead actor who can build the suspense in a meaningful way. That’s where John Cho comes in. The most basic summary of the movie goes like this: a man’s daughter goes missing and the clues surrounding her whereabouts seem fishy. Cho’s passion for solving this mystery turns out to be one of the movie’s highlights. If one were to define him by an archetype, he’d be the “caring father,” but it’s not that simple. Cho makes sure to inject all kinds of character traits into one dude. Yes, he’s caring, but he’s also flawed. We see that not only through dialogue and general exposition, but also through the actor’s actions. In the end we get a movie featuring a character that’s highly respectable because he has so much going on. He’s not one-note, and that’s part of why the movie avoids being one big gimmick. 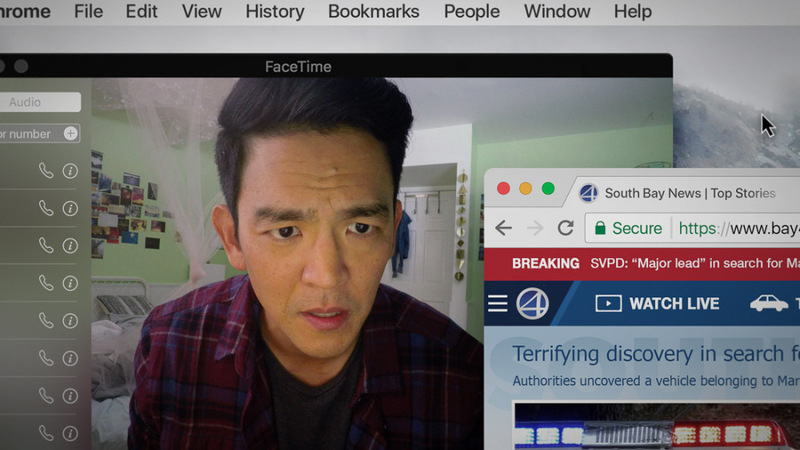 Sure, the script does a lot of the heavy lifting, but John Cho brings enough charisma to save even the sloppiest of scripts. Luckily, we don’t need Cho to save the movie. He just gets to be one of many excellent components. Another year, another phenomenal performance from one of the best young actresses out there. While her work in Mary Queen of Scots isn’t as impressive as Brooklyn or Lady Bird, it once again establishes Ronan’s skill as a versatile actress. The overall reception of the movie has been relatively lukewarm, but Ronan (along with Robbie) continues to earn praise for her expressive performance. 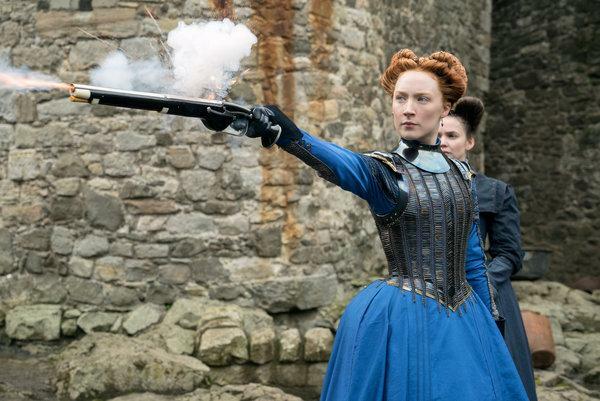 As a movie, Mary Queen of Scots was easily upstaged by The Favourite, a similar period piece with a stronger script and a better overall cast. Ronan hasn’t been given the same amount of attention as Colman, Weisz, or Stone, but she deserves to be in the discussion. The movie may be weaker, but the lead actress does everything she can to win people over. When the script begins to falter, Saoirse Ronan draws people back with her fiery passion in front of the camera. By herself, she’s solid. With the entire ensemble, she’s breathtaking. Does it represent her at her peak? Not necessarily, but that could be because she’s being dragged down by several flaws within the movie itself. If the crew would’ve tweaked a few things, this could have been a top-tier performance from the young actress. It’ll have to settle for top five instead of top three. Prerelease hype for Mary Poppins Returns was through the roof after the first screening. People dubbed it a definite Best Picture contender, but the hype has died down since then. The movie has always been on the tail end of pundits’ prediction lists, but with Bohemian Rhapsody and Vice gaining traction, the media has decided that this probably won’t be a major awards season contender after all. In terms of major categories, there’s one small glimmer of hope: the Best Actress category. Four of those slots are basically locks, but the fifth slot is one big question mark. Could Emily Blunt fill that mysterious fifth slot, and more importantly, would she deserve it? Yes, a nomination seems like a strong possibility, and yes, Emily Blunt is a better choice than a lot of people. 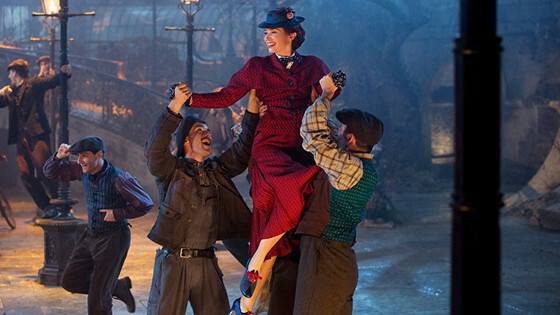 As easy as it is to dismiss this lighthearted performance, a person only needs to look back to the original Mary Poppins to realize that Blunt has done something special with this role. If you come in expecting an emotional powerhouse performance, you’re going into the wrong movie. If you go in expecting to see someone who perfectly embodies the classic Disney character, you’re in for a treat. Honestly, most people who go to see this new take on Mary Poppins are hoping that at the very least, the titular character is done justice. There have been complaints about the derivative nature of the story, but it’s damn near impossible to come up with major complaints about the star. Purists may throw a fit about it, but most people should enjoy this fresh take on the character. 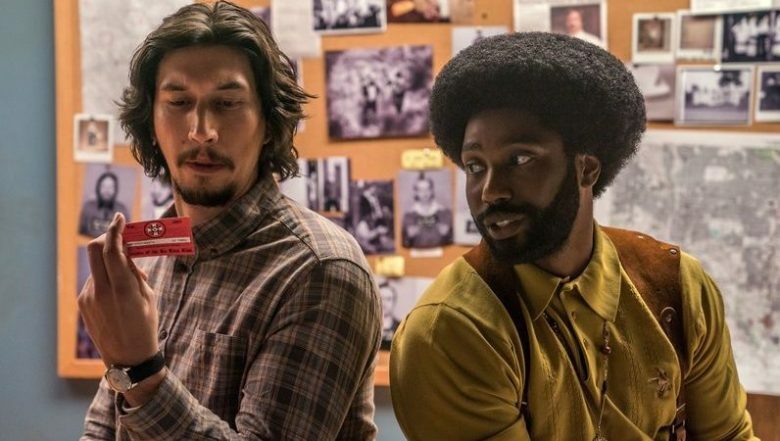 John David Washington and Adam Driver have all kinds of chemistry in BlackKklansman. In reality, both of them could probably be included on this list. However, Adam Driver gets the slight edge because he makes his supporting role feel so meaningful. He may not be the main character, but he’s able to keep up with a phenomenal lead actor in a way that few people can. Props to John David Washington for giving one hell of a breakthrough performance, but Adam Driver deserves props for continuing to prove that he’s a valuable asset in the acting community. 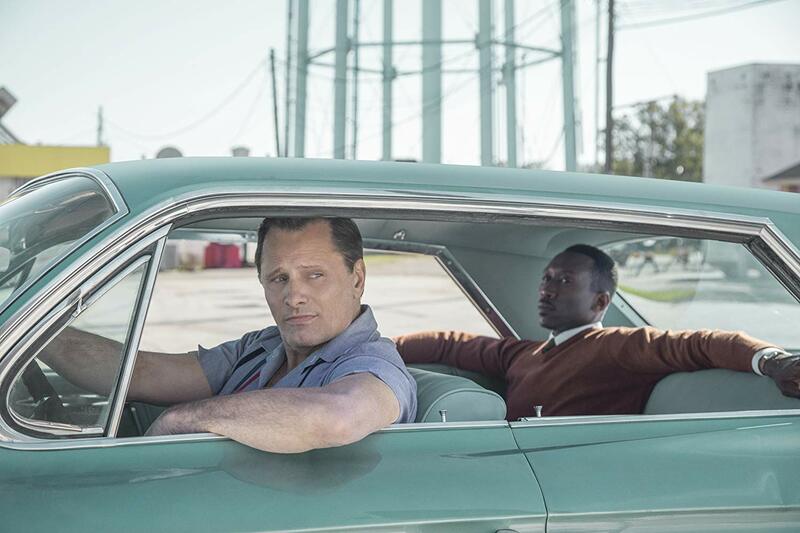 Driver has a little leeway compared to other actors because his character, Flip Zimmerman, isn’t based on one single person. The character is a culmination of different people involved in the original story. This benefits him because he can kind of do his own thing with this role. Of course, there’s a script to follow, but Driver never has to worry about insulting any real person because his character isn’t a real person. If you’ve been following Adam Driver the past few years, you shouldn’t be surprised to hear that his performance is magnetic in all the right ways. It’s not particularly somber or emotionally impactful, but it is funny and nuanced. It’s not nuanced in the ways people have come to expect, but that doesn’t matter. There’s plenty of emotional range to be found in this performance, even if this is primarily a comedic role. Set aside all biases against comedic roles and recognize Driver’s performance for what it really is: special. In a movie with such a strong cast, it’s great to see Driver wearing his game face throughout the entire runtime. Highlighting his performance by no means suggests that the diverse cast doesn’t deserve praise. It just feels right to recognize what is clearly the best work of this particular actor’s career.